A high court in Abuja has granted bail to Dino Melaye, senator representing Kogi west. This development is coming about a day after the court asked the police to state reason why the senator who has been in detention since January 4 has not been released. The lawmaker had surrendered after the police laid a siege to his Abuja residence for eight days. Mike Ozekhome, Melaye’s counsel, had argued that the police kept his client in custody more than the period that the law stipulates. The senator was accused of culpable homicide. The police alleged that supporters of Melaye shot one Danjuma Saliu, a police officer, in Kogi state in July. At the court on Friday, Yusuf Halilu, the judge, said Melaye should be allowed on bail to attend to his health as he could not be arraigned on a stretcher or on his hospital bed. In his ruling, Halilu ordered the senator to present three sureties who reside and have properties in Abuja. 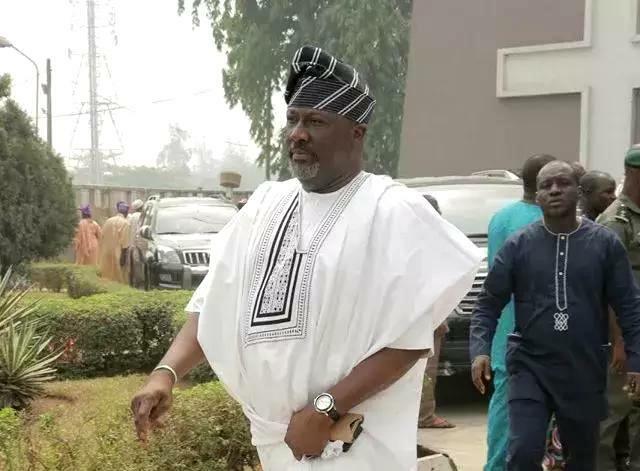 The judge said one of the sureties must be the clerk of the national assembly who would write provide a letter attesting that Melaye will always be available for the trial.